The Power Relay 2000 is a protective reverse power (forward power) relay for generator and prime mover protection. The power relay covers 63 to 690 VAC and available for 5A CT. The SELCO G-Line relays are mainly intended for use in land-based applications. 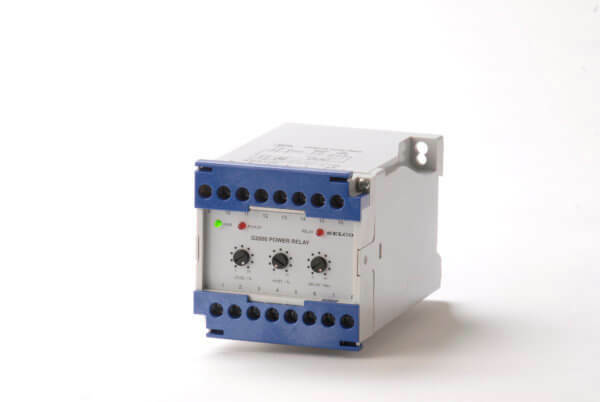 The SELCO G-Line relays provides an efficient solution for applications where flexibility and cost of purchase are the main issues. Despite a low purchase price, SELCO G-Line relays provide high quality, proper measuring techniques and a vast number of programmable options. Safety, accuracy and repeatability are important features in any protection system. SELCO G-Line relays all have built-in measuring transformers, one for each phase measurement. Transformers provide the best possible isolation with near perfect linearity and thereby no loss of accuracy. Voltages and currents can be measured through resistors or optical couplers, which provide a much cheaper design. Such schemes however, compromise safety as well as accuracy.